FANTASTIC….WELL DONE…WHAT A COUPLE OF DAYS WE HAD…MISS U GUYS…PLEASE KEEP US POSTED. 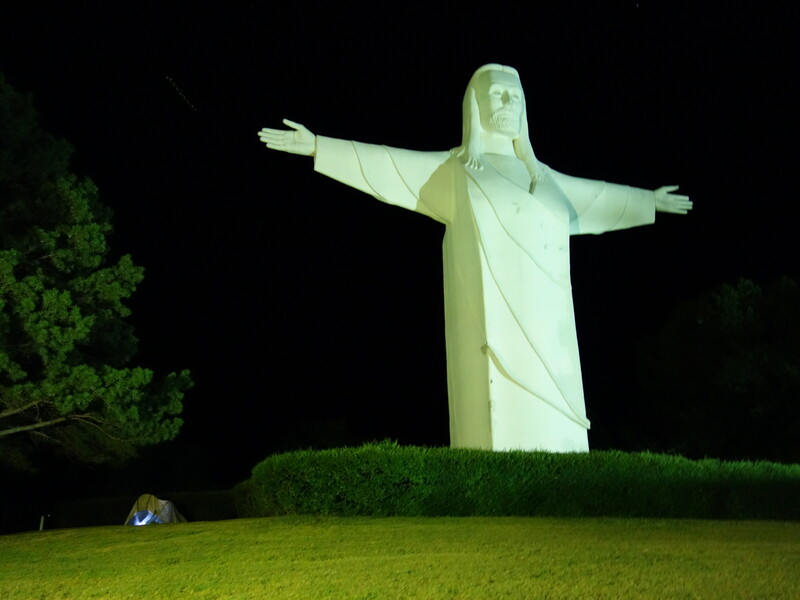 YOU’LL ALWAYS HAVE A PLACE WAITING FOR YOU UNDER THE SAFETY OF JESUS ARMS IN THE OZARKS!!! AS A VOLUNTEER HERE, I WAS VERY PLEASED TO SEE THAT THE PIECE YOU PRODUCED LOOKS VERY PROFESSIONAL. GLAD YOU GOT TO STOP HERE AND THAT YOU ENJOYED YOUR VISIT. THIS PLACE IS SIMPLY MENT TO HELP MAKE A PORTION OF THE BIBLE COME TO LIFE AND A LITTLE MORE REALISTIC. I was so pleased with the documentary you filmed about the Passion Play! You truly captured the spirit of those involved with this. It is such a special place and means so much to us. Thank you for your beautiful documentary. It is greatly appreciated!